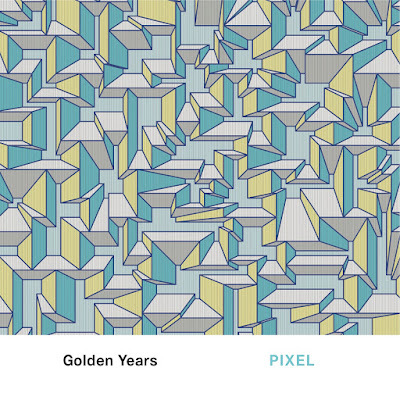 These are indeed the Golden Years for Norwegian avant-garde pop-jazz-rock pioneers Pixel. Fresh off the back of a year of touring and 100 shows across the continent, which can only have strengthened their band dynamic and capacity for hoopla, this strong third offering should mark another beach-head in their assault on the jazz markets of Europe and beyond. Pixel comprises four players from across Norway who are all consummate professionals and experienced on the Nordic jazz scene with a variety of individual projects. However, it is their group ethos and concept which marks this album, and the group, as something to keep a close eye on. The band are singer and bassist Ellen Andrea Wang, drummer Jon Audun Baar, trumpeter Jonas Kilmork Vermøy and sax player Harald Lassen. As on their previous two albums, Reminder and We are all small pixels (review link below), the band eschews jazz piano, relying instead on the sturm und drang of brass to jump-start their sound and complement Wang’s mellifluous bass and ice-cool voice and Baar’s super-tight and unobtrusive drumming. It’s jazz, undoubtedly, but the band is playing it in a way that is eminently accessible. This is music that engages, and encourages listeners to try something new. Opener Rainforest is inspired by Arve Henriksen’s 2004 album Chiaroscuro, Wang’s bass providing a rain-tinged drip-drip-drip over which Lassen’s mournful sax and Vermøy’s trumpet play in unison over a charming melody backed up by sparse drumming by Baar. It then opens out into a track of hairs-standing-on-the-back-of-the-neck emotional beauty. Second track People Pleaser kicks off with a hypnotic beep, beep, beep brass motif over which a gorgeously simple bass rhythm and shuffling drums play, allowing Wang to explain why - in atmospheric over-dubbed vocals and her idiosyncratic lyrical style - she puts others’ needs above her own. Just over two-minutes of simple sonic pleasure. Nothing beats reality is very much a showcase Nordic soundscape over danceable and funky jazz-rock grooves. Powering out of the blocks like a greyhound after a rabbit, Vermøy and Lassen’s unison playing showcases Pixel’s emblematic sound signature. Midway through the track each player kicks away the supports and entertains with complicated brass acrobatics on their respective improvisational elements, the musical rumpus punctured by Baar’s crash cymbal and hollers from Wang. Both chaotic and ordered in equal measure. Track eight I have the right to go to Syden is likely to be the only jazz song ever to contain the lyrics ‘cultural bulimia,’ but don’t let that detract from another up-tempo number with plenty of smart lyrics that bemoan the effect of Twitter and the smartphone on the simple experience of travelling. Slinky is sparse to the max, all single tones over which Wang and bandmates join forces over the simplest of melodies to share some charming lyrics about a joyful relationship, over which Vermøy’s crystal-clear trumpet sound, plus effects, provides a warm bath of sound that swirls between the speakers. The last track, Airborne, is all about breathy sounds and gossamer-thin melodies. It showcases Lassen and Vermøy’s talents for getting challenging sounds from their respective instruments, often through the use of creative effects. 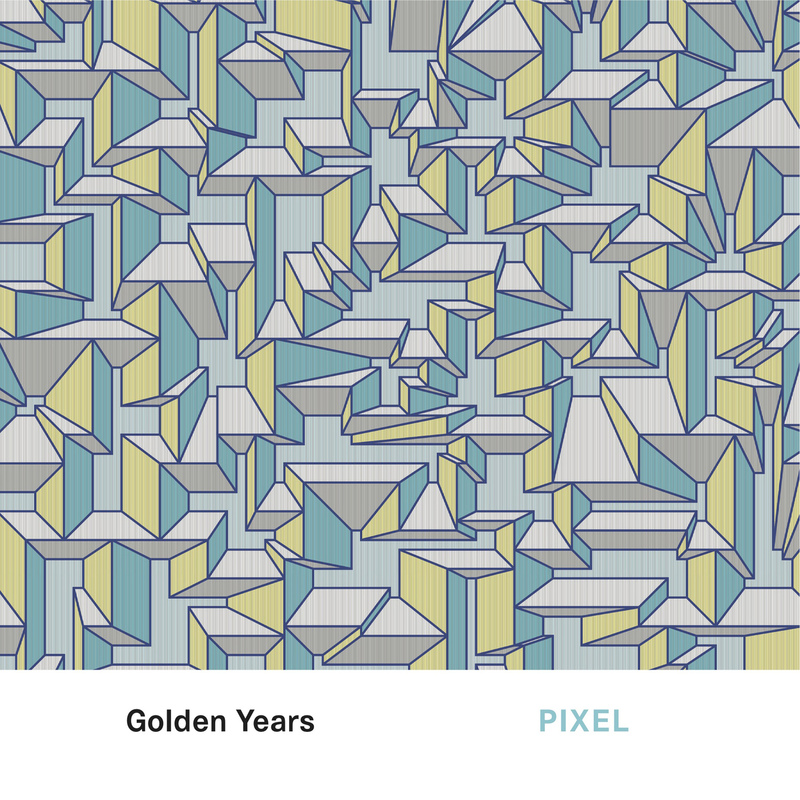 Pixel exemplifies why the Nordic region is at the cutting edge of much in jazz at the moment. Their simple group sound, bereft of unnecessary production pyrotechnics, and their consummate ensemble playing belie the complexity of the product they’re coming up with. It all works very, very well and with Golden Years the band has matured considerably and shown it has the quality to produce something special that can stand out in a competitive music market. This is an album as dramatic and welcoming as the winter sun rising over an empty Norwegian fjord. Totally enjoyable.